So a few years back, I picked up a set of lowering springs from VP Autoparts for my 73 142. I'm messing with the rear & underside of the car at the moment, and noticed that my existing springs are flat on the bottom, and not pigtailed like the VP springs. Looks like a need the lower anchorage washer & nut. VP doesn't list the part number shown on the GCP.se -72 catalog, but shows P/N 1206811. Would this be the correct retainer to make these springs work with my later lower control arms? Last edited by sksmith; 04-15-2019 at 10:51 PM.. Correct you need to convert back to the early upper spring perches which bolt into the weld nut in the frame rail. These guys but without the metric pressed stud. Last edited by Redwood Chair; 04-15-2019 at 10:57 PM.. 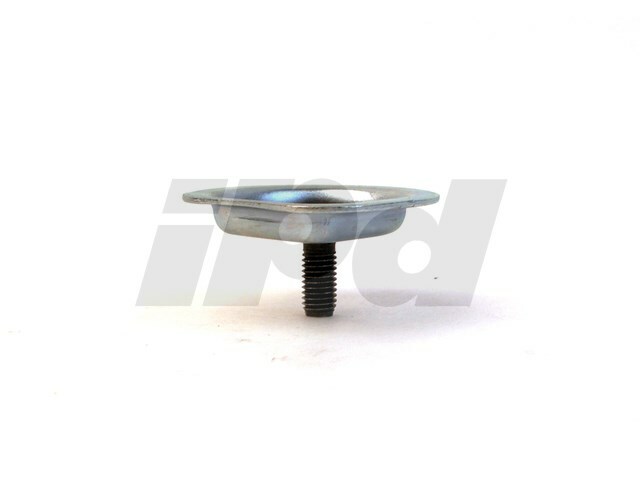 I found a pair on IPD's site that take a 3/8" bolt. Last edited by sksmith; 04-16-2019 at 09:50 AM..